Rachelle Ayala is a bestselling author of contemporary romance and romantic suspense. Her foremost goal is to take readers on a shared emotional journey with her characters as they grow and become more true to themselves. Rachelle believes in the power of love to overcome obstacles and feels that everyone should find love as often as possible, especially if it's within the pages of a book. Her book, Knowing Vera, won the 2015 Angie Ovation Award, and A Father for Christmas garnered a 2015 Readers' Favorite Gold Award. She is also a writing teacher and founder of the Romance In A Month writing community. She lives in California with her husband and has three children and two birds. 5,0 de 5 estrelasGreat story! Juliette and Gabe's marriage is on the rocks, and this trip is their last-ditch effort to save it. They didn't expect to find a little boy in a snowstorm, but Patrick and his dog enter their lives and help Juliette remember that life can be good, despite her grief. I really liked these characters. Of course, Puppy and Patrick are little darlings and I just want to squeeze them! Gabe is a good man who is trying to be a great husband - I think he is just at his wit's end, not knowing how to help his wife who refuses to live in the present and is always looking back. Juliette is a complex case. She has so much she needs to learn throughout the course of the story, and the growth in her was good to see. Everything isn't smooth sailing for this couple, but the author does an excellent job of making it feel real and getting me to hope this couple works things out. I was surprised by the slight paranormal aspects of the story, but it was a nice change from what I normally read. All in all, a great Christmas story about the power of love and making yourself see the miracles all around you. They had lost a son to Leukemia about a year ago. They had rented the cabin to try to restart their lives. They found a puppy the first morning then a little boy that insisted he was an elf. They were showed in with their cell phones locked in the car and no electricity. With the help of the boy and dog Juliette and Gabe were able to find their way back. A beautiful story told as only a master wordsmith can. Definitely worth reading. Christmas Stray is such a heartfelt story. Julie, the main character, is recovering from the loss of a son and the pain of a holiday without him. 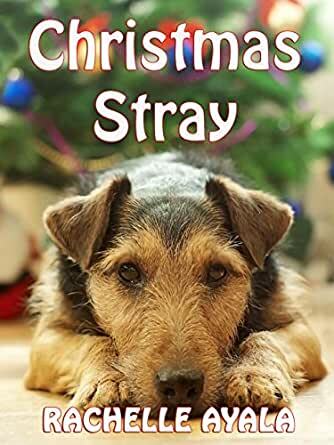 Getting stranded with her husband, an orphan, and a stray dog has a funny way of changing the way she experiences the season and life. It is a short read, so you can pick it up quickly and breeze through. I adored this emotional read especially since my dog has helped me feel hope. It's a great book. I received a review copy for free. 5,0 de 5 estrelasLove it! Love reading Rachelle's wonderful and heartwarming tales!